Not that I remember exactly what the NBI Clearance renewal/application was like when I last tried to get one (4 years ago) but I can say that the current process is not so bad because Step 1 (filling out the application form) and Step 2 (payment) can already be done online. After completing the online processes, you may then visit any NBI Clearance branch to go through Step 3 (biometrics scanning) and Step 4 (release). Of course, you may also do Step 1 and 2 right there in the NBI Clearance branch too, but I highly recommend that you do it online to avoid an even longer waiting time. 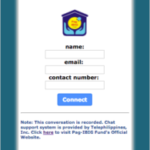 Those who do not have Internet access at home may use computers at the main branch in United Nations, Manila for free. By the way, NBI Clearance is one of the requirements to get a Postal ID so you might as well look into applying for it. We applied for our Postal ID at SM North EDSA. 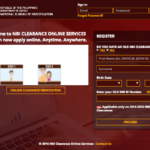 First thing you need to get a new or renewed NBI Clearance online is to get an account at nbi-clearance.com. Login if you already have one, or register if you don’t have any yet. Enter the name of the ID that you will show the NBI staff when you go to their branch, for example “SSS UMID” or “PSA copy of birth certificate”. I was surprised that the NBI staffs did not ask for any ID when we renewed our NBI Clearance. Could it be because they’re not strict about renewals? 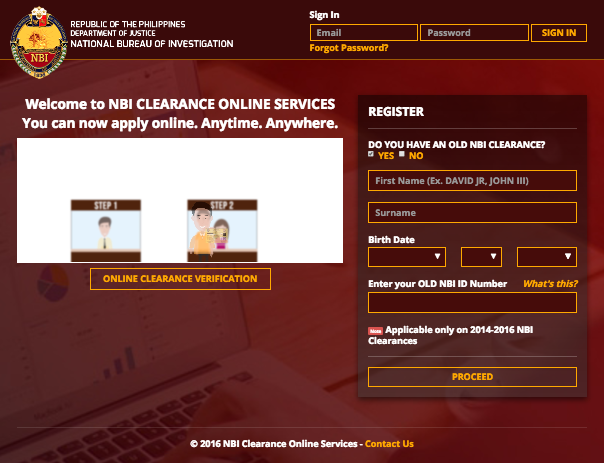 Then you will reach a page with a calendar – it’s the NBI Clearance appointment system. 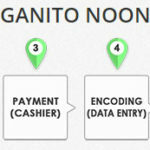 If you choose AM, you may go to the NBI branch of your choice any time before noon. And if you choose PM schedule, you may arrive anytime after noon before the closing time of your NBI branch, which in my case at Robinson’s Place Ermita was 5PM. 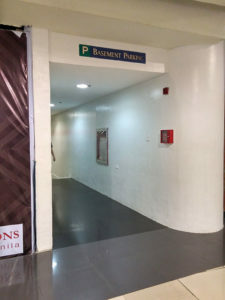 The NBI Clearance branch at Robinson’s Place Ermita is located at Basement 1 or “Basement Parking”, which is reachable via a stairway beside National Bookstore (Enter via Sta. Monica Street or Padre Faura entrance. 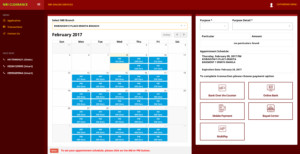 You’ll notice that there are less remaining slots for AM schedules than PM, but the difference is not significant. My mom and I renewed our NBI Clearance for “local employment” and “ID purposes” and each costed us P140. The base price is P115 for the NBI Clearance only, and added to this is additional P25 fee for online payment. Initially, I was trying to pay for my NBI Clearance application via online banking at 11:31PM. But I couldn’t proceed with payment because according to the NBI Clearance online system, online banking payment is only available until 11:30PM daily! It was frustrating because it was only a minute past the cutoff. I was able to pay the next day without any problem anyway. By the way, you should enter your “reference number” as “remark” on your online money transfer. Enter nothing else aside from the reference number. 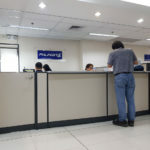 The branch that we chose for our NBI Clearance application is Robinson’s Place Ermita in Manila City. If Robinson’s Ermita is the same branch you’d like to go, then I can show you a few photos. If unsure, don’t hesitate to ask someone at the information booth about the location of NBI at Robinson’s Ermita. Once you are downstairs at Robinson’s basement, you’ll see that this area is “Lingkod Pinoy Center”. Some of the other government services you’ll find there are for SSS, Philhealth, and Pag-IBIG. Ask a guard where you should fall in line after registering and paying online. The guard should ask you to enter the parking area and find the queue (there are seats!) for NBI Clearance. 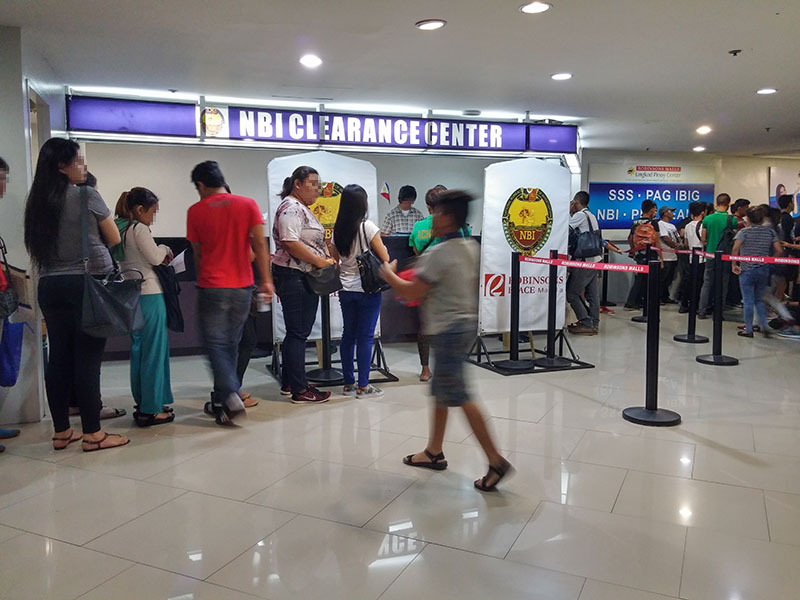 What you are actually going to fall in line for in that area is the NBI Clearance Center’s biometrics scanning. There were no seats here, but the queue should be processed quickly because the NBI staffs at the counter — though a bit mean when dealing with some applicants, move very quickly. Maybe there was technical problem earlier, that’s why our batch took 40 minutes to be called instead of 10 minutes. There are 2 biometrics capture counter, but you fall in only 1 line. Whichever counter finishes with an applicant first will call on to the next one in line. And oh, I hope you don’t get discouraged in choosing Robinson’s Ermita as your branch just because I said that the staffs were kind of mean. In my experience in getting an NBI Clearance (this was my 3rd time), the NBI staffs who attend to biometrics are always intimidating no matter which branch it is. I understand that it might be due to stress though. We can only imagine how many applicants they handle everyday. Observe the people before you – do they present any ID to the staffs with their application forms? In our case, none of the people who went before us presented any ID — only application forms. If you see the same thing then hand over your application form to the NBI staff and simply prepare your valid ID for easy access, just in case the NBI staffs as for it. To the left of the 2 NBI biometrics counters is the “RELEASE” counter. Go straight there UNLESS the person who assisted you at biometrics counter said you need to come back at a later date to claim your NBI Clearance — this means you got a “hit”. A hit means your name matched another person with the same name and NBI needs more time to verify if you have a clear record with them. “Hit” me baby one more time! 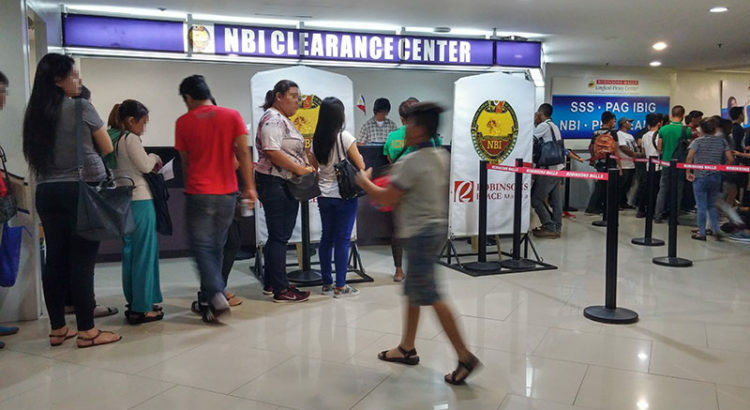 Story of my adult life: I can never get my NBI Clearance in one visit to an NBI branch. 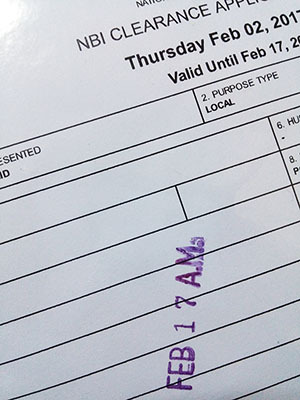 I applied for NBI Clearance on Feb. 6 (Monday) and can only claim it on Feb. 17 (Friday) — that’s a total of 11 days! The heck? 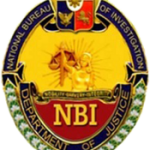 You see, I know someone with a very unique foreign-sounding name and yet he got a “hit” with NBI! 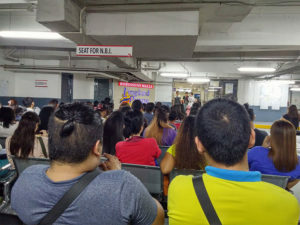 We were thinking, what if getting a hit doesn’t really mean you have the same name as someone else, but the NBI staffs just don’t feel like releasing your NBI Clearance right away? 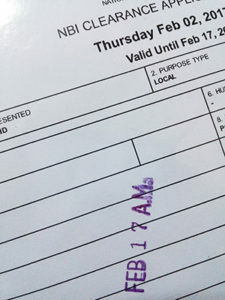 Or what if it’s NBI’s way of reducing printout loads during busy days? 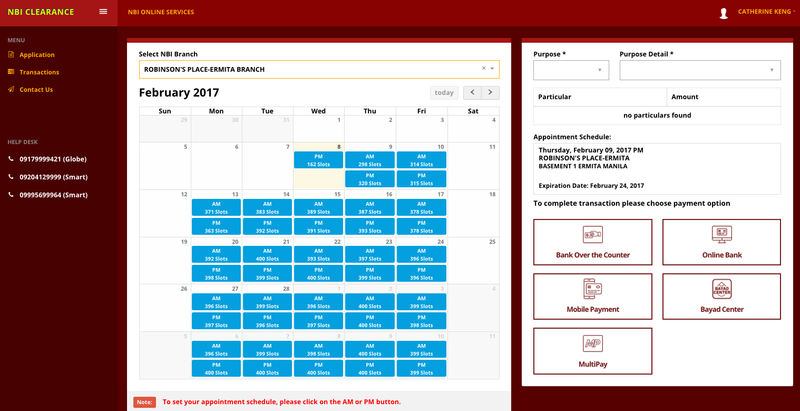 Availability of NBI Clearance payment via online banking such as BPI Express Online, BPI Mobile Banking, BDO Online Banking and more. NBI staffs that capture biometrics data are mean and intimidating, at least in the NBI branch at Robinson’s Place Ermita. I think that if they smiled more, it will be a win-win situation: applicants will feel more “at ease”, and the NBI staffs themselves will somehow feel good to because I think that smiling — even when a bit forced, can help one feel relaxed. Everything you said about NBI processing at Rob. Manila was right. I applied today (August 7, 2017) for renewal and the staff told me to come back on August 18,2017 (9 working days). I slightly reacted when he said the date and he told me “panglalaki kasi pangalan mo.” To think na that is for renewal, my records should be on their database already. I don’t want to cause an argument so I left already. Experience was bad. Glad to know some people share my problem. I applied August 9, 2017 only to come back on the 23rd. That’s even worse- 2 weeks. I wasn’t told the hit word though but if that were the case I’ll contest it to the ends of the earth. Here I was thinking lucky my name is as unique as can be. Ah no. Hi Catzie, thanks for the post, very informative. I am scheduled tomorrow AM at Robinson’s Manila. I already paid via 711 and status is PAID. However, I do not see the option to Print Application Form on the transactions page, just details about the payment and my schedule. Should I go to the Application page and just print that? Baka lang kasi magpunta ako ng Rob wala ako dala tapos kailangan pala sya babalik pa ako. Thanks! 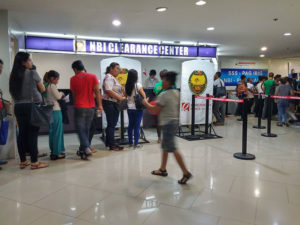 Hello, nung time na kumuha ako ng NBI Clearance, yung reference ID/number lang ang kailangan pagpunta sa NBI branch, hindi na yung application form. Don’t forget to bring valid IDs din po. bukas ba ung nbi sa ermita pag saturday? pano po mag pa appointment for seamans? and pag pumunta ba dun makukuha ba agad? I’ve registered online filling up FIRST NAME MAIDEN NAME and LAST NAME since I am married. But, as I have checked on my account, the surname reflected was still my maiden name. My married surname was not captured. Will you be able to help me on this?